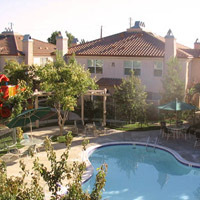 Villa Ramona is a 71-unit, tax credit community located in the city of Baldwin Park, CA. The property is accepting applications for the waiting list. This property accepts Housing Choice (Section 8) and VASH vouchers. The property offers one and two bedroom units for people 62 and over, and two, three and four bedroom units with no age restrictions. Spaciously designed in flat and townhouse style arrangements, the bedroom floor plans provide a full array of comfortable living space and amenities. Residents have access to a large community area with a large screen television, ping-pong table and library. Activities include bingo, computer lessons, dance classes, potluck dinners, monthly parties, and off-site trips.